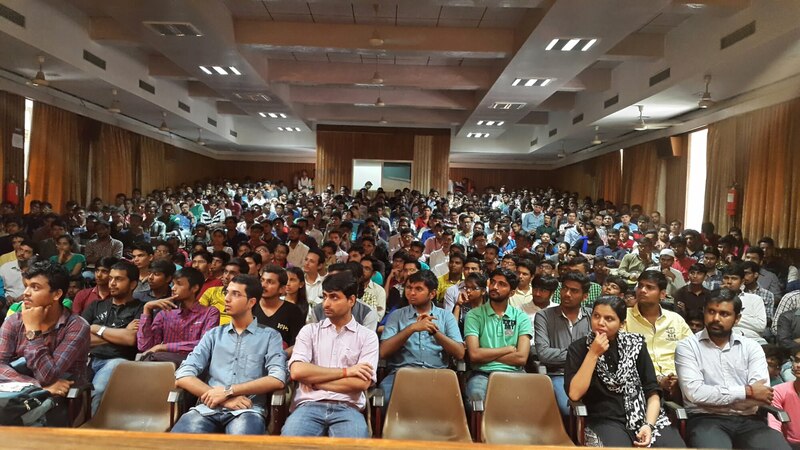 Today, the orientation for Students (Diploma and Degree Engineering – Civil and Electrical Branches) and Nodal officers was organised at the Auditarium Hall of BVM Engineering College at Vallabh Vidhyanagar, Anand. 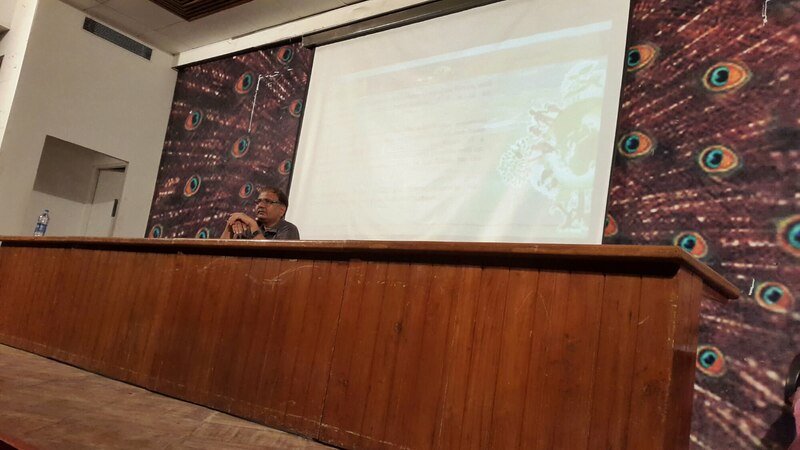 Prof. Bhasker, while his address, advised students to maintain a blog for their involvement while working in the VYP. It is a very convenient way to maintain records as all the students were using mobile phones. It was announced that this year, the students will be provided Satellite image of assigned villages (through the efforts of BISAG, Govt. Of Gujarat). It will help mapping based analysis of villages and improve the quality of work done by the students under VYP. Dr. I. N.Patel announced that the GTU will also organise trainings for different software tools to make villages fulfilled with services and infrastructure. For such training, an initiative/demand shall be raised by the Nodal officers in a Zone. 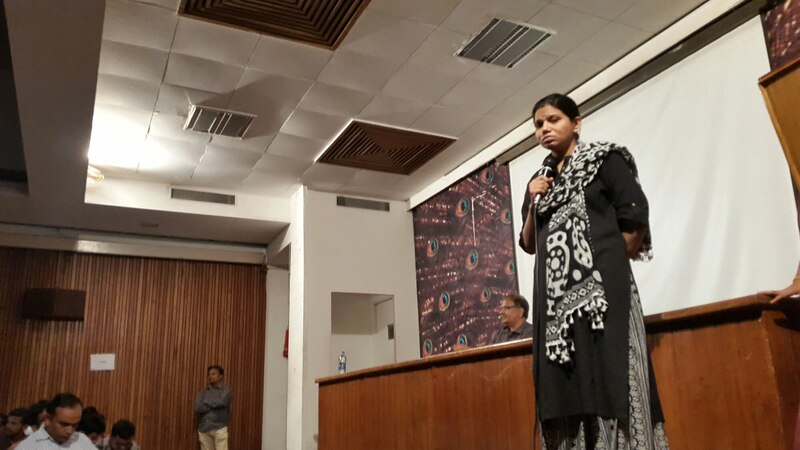 Ms. Darshna Chauhan conducted the program while Ms. Jagruti Shah explained the concept of VYP through a presentation. 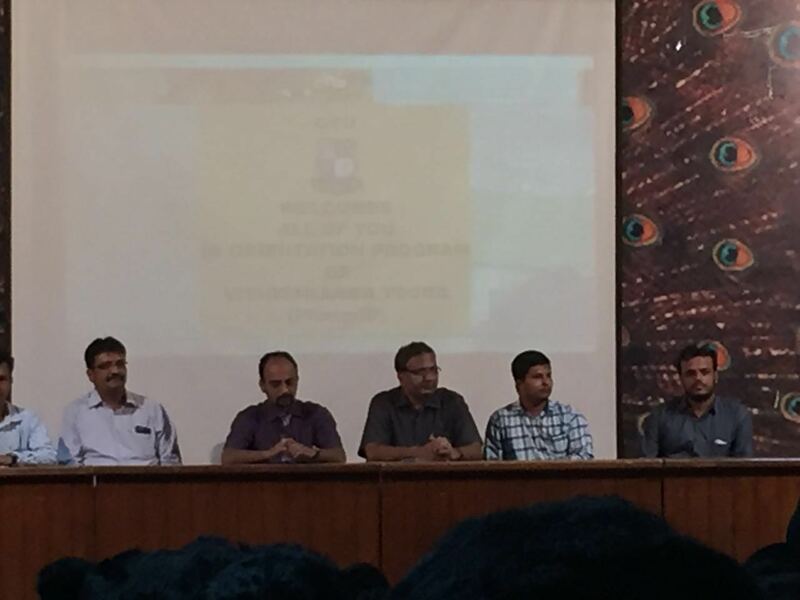 Prof. Bhasker suggested to add a category if VYP along with an option to IDP/UDP on the PMMS portal of the GTU. Literature review by students will be in form of preparing answers to given questions by the VYP Team. This in particular, is aimed to create/increase technical wiring ability of the students as well to unknowingly done plagiarism by the students who may copy some contents from websites or guidelines. Students may take up a study of cases of group village development programs attempted in past in the regions of South Asia and European nations. After studying, students may include their understanding as a part of literature review. 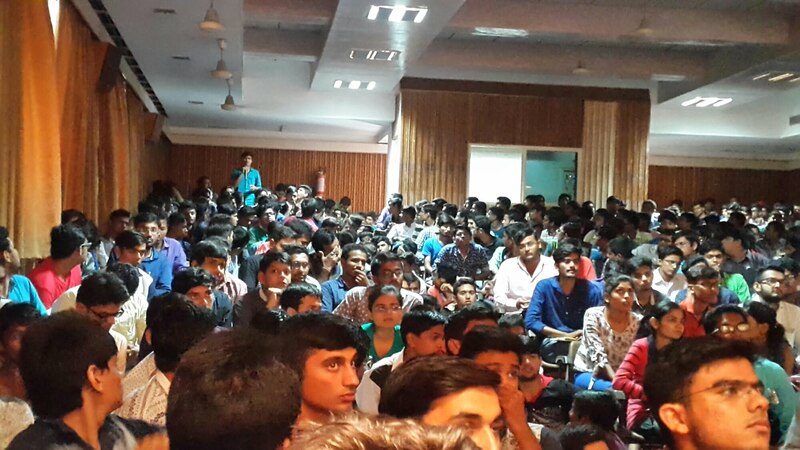 A number of questions and doubts raised by the students were resolved by Dr. Patel, Ms. Chauhan and Ms. Shah from the stage. 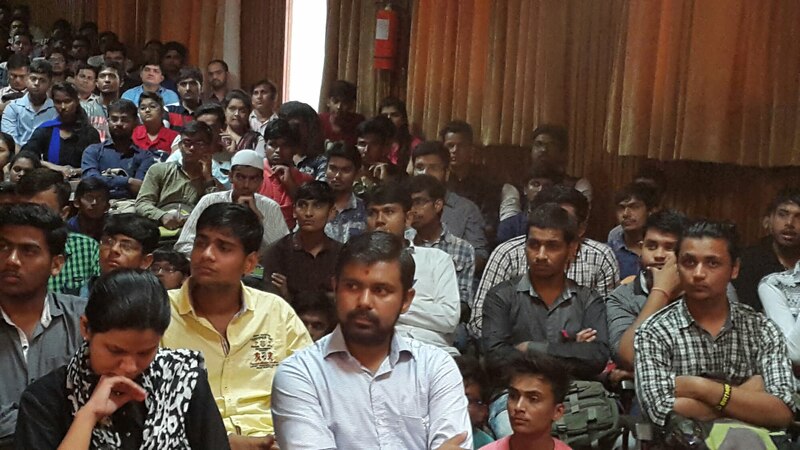 It was also informed that the system of practical examination for VYP students will be modified in some time. 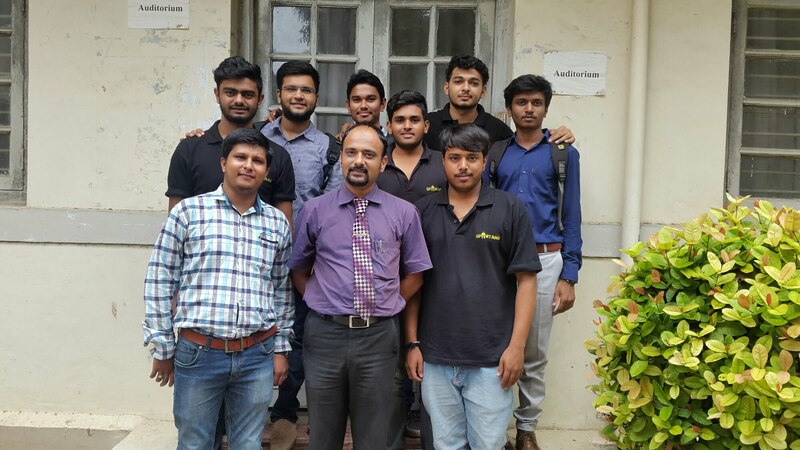 All the 8 students with Prof. Bhasker, VYP Nodal Officer at SCET, attended the event.